PERFECT SIZE: Ideal for everyday use. 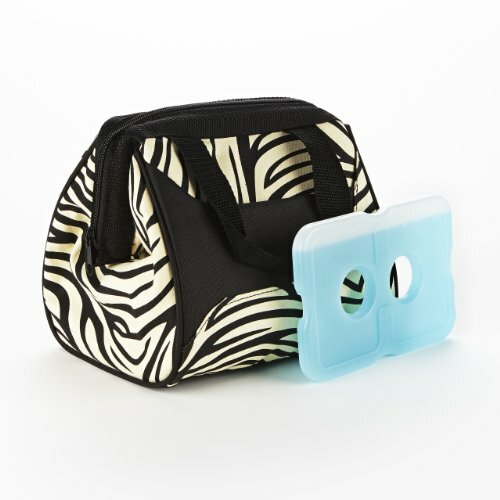 Each ice pack measures 4.75" x 4.75" x 0.25"
PERFECT SIZE: Ideal size for everyday use. 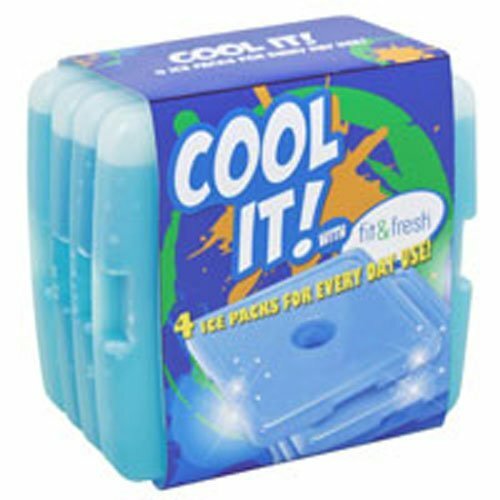 Each ice pack measures 4.75" x 4.75" x 0.50"
LARGER SIZE: Set includes 4 rectangular packs, each pack measures 7" x 4.5" x 0.50". 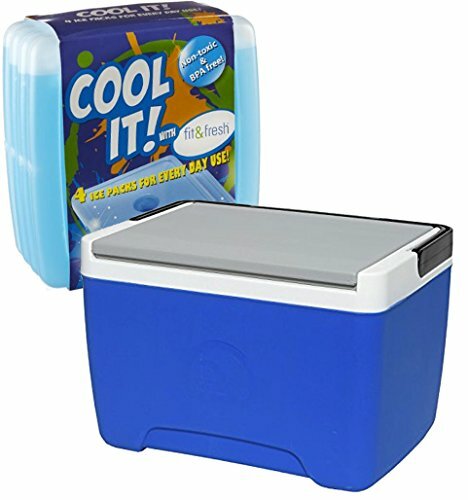 Ideal for everyday use in lunch boxes, cooler bags, and ice boxes. 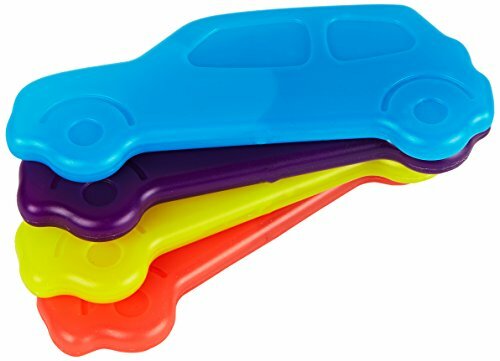 REUSABLE ICE PACK: Great lunch box ice packs for kids and adults. 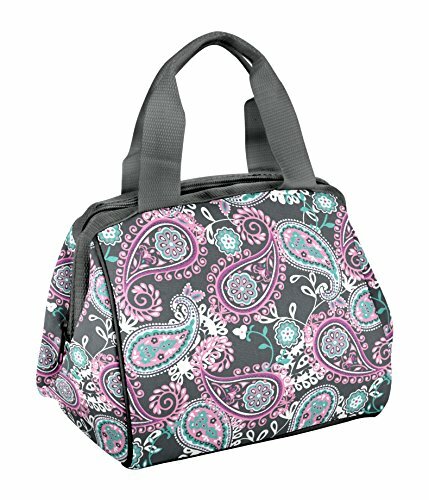 Go anywhere - pack for work, school, parties, picnics, beach, tailgating, etc. 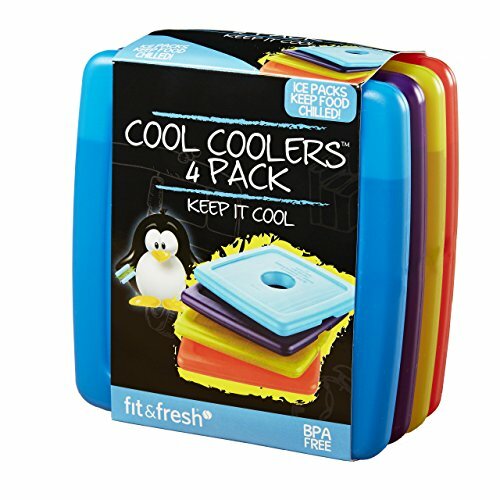 SAFE & DURABLE: BPA-free, non-toxic & freezer safe. Hand wash. Do not microwave. START A NEW HABIT: Bring your lunch to work 3 or more times per week - you'll save money and eat healthier. 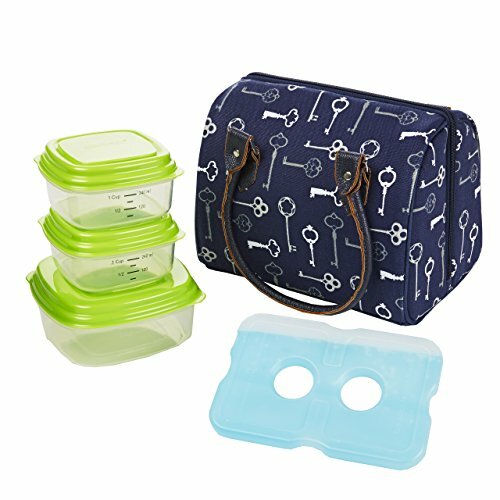 PACK YOUR LUNCH IN STYLE: The Downtown is a stylish alternative to standard lunch boxes with a sturdy frame that makes packing a breeze. SPACIOUS: Exterior pocket offers a convenient, accessible place to store your keys & phone and the roomy interior holds everything you need for the day. 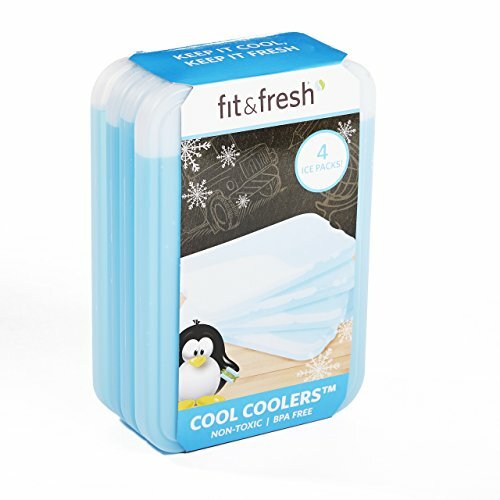 KEEPS FOOD FRESH: The slim ice pack and thick insulation help keep your lunch, snacks and drinks cool and fresh. 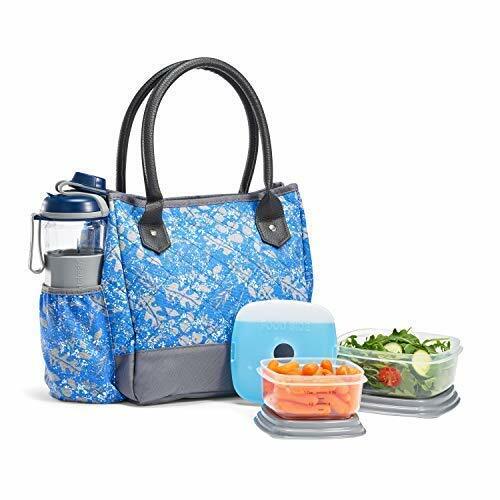 MATERIALS YOU CAN TRUST: Has a durable, soft cotton exterior and an eco-friendly, gray PEVA lined interior that's easy to clean and BPA-free. 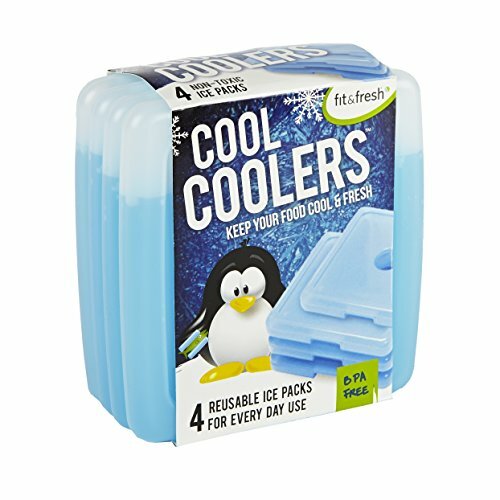 Each ice pack measures 4.75" x 2.75" x 0.25"